After years of leading the way on cheap virtual reality, Google finally has a headset of its own. The search giant announced its first Daydream-ready VR headset—Daydream View—which is essentially a $79 headset that turns your Google Phone into a virtual reality dream. 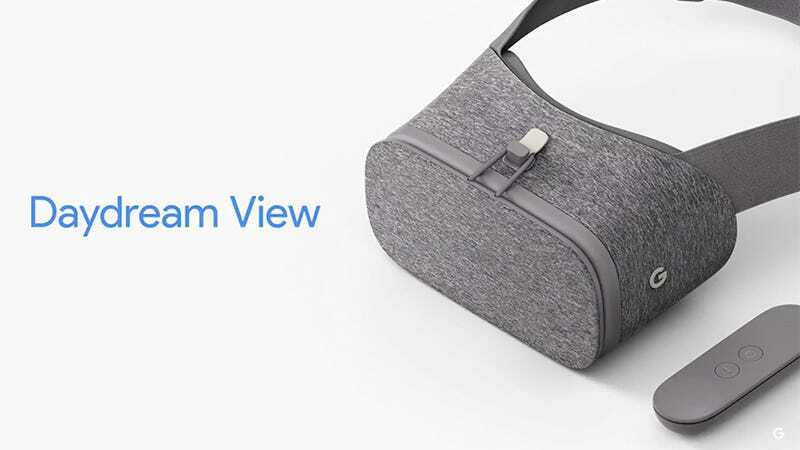 Google first announced its new mobile VR platform called Daydream back at Google I/O in May. The concept takes Daydream-optimized phones, such as the Pixel phones announced today, and it automatically switches them to VR mode when they’re inserted into the headset. Google has a set of specifications about the processor speed and display quality that a phone-maker needs to meet to be certified as “Daydream-ready,” meaning they can run the new platform. The Pixel and Pixel XL are conveniently the first phones to receive this certification. The Daydream View headset is made to be super soft and lightweight. It’s crafted out of soft, breathable, microfiber fabrics that are found in clothing and athletic wear. According to Google, it’s 30 percent lighter than other headsets that use mobile phones. It’s also easier to use than most other headsets. When you open the latch, drop your phone in, and close the latch, your phone automatically adjusts itself to display virtual reality. Daydream View is priced at $79 (not including the cost of the phone), which makes it a bargain compared to other headsets from Oculus and HTC, both of which cost hundreds of dollars and require a powerful PC. Even the Samsung Gear VR is more expensive at $99. For now, the Daydream View appears to be one of the best-designed headsets around, but whether its software can actually compete with other offerings from Oculus and Steam remains to be seen.